As you know this website is about anti aging. And one of the things we will discuss here is anti aging medicine. But what exactly does that mean? 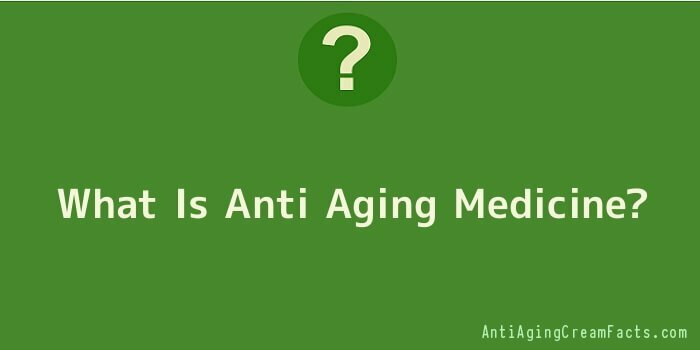 Wikipedia describes “Anti Aging Medicine” as follows: Anti aging medicine, also known as life extension, experimental gerontology and biomedical gerontology, refers to attempts to slow down or reverse the processes of aging to extend both the maximum and average lifespan. However, many also describe it as an extension of preventative health care. 90% of all illness is caused by degenerative processes of aging. You can delay this process through early detection (e.g. testing your cholesterol levels), and proper intervention (e.g. balancing your hormones, eating the proper food or taking the right supplements). The focus is on prevention of disease and not treating disease. Currently there is a lot of research happening in the area of tissue rejuvenation. This could be achieved through stem cells, molecular repair or organ replacement. Nutrition plays a major part in anti aging medicine as many believe that nutrition is the key to living longer. Currently there are 2 different kinds of diets that are recommended. Nutrition also plays a major part in the prevention of certain diseases. Many in the field of anti aging believe that additional antioxidant supplements like vitamin C, vitamin E, lipoic acid and N-acetylcysteine can prolong life through the fight of free radicals. Another supplement resveratrol received a lot of publicity lately, as it has proven to extend the life in mice. Many believe that this supplement can considerably extend life expectancy and I recently attended a lecture where this supplement was hailed by the lecturer as the new penicillin. Many tests with this supplement are currently under way. Although skincare products will not extend your lifespan they can help making you look a lot younger. The new trend is cosmoceuticals; anti aging skincare products with a lot of research behind them. New treatments like laser peels, botox, fluid facelifts and plastic surgery all help to make you look younger. This is an ever growing industry. Hormone therapy is widely used in anti aging medicine as a way to keep the hormone balance optimal. Human growth hormone can be used and bio identical hormone replacement.